Quantum Gate released on September 29th 2017, to coincide and celebrate the 50th anniversary of the foundation of the band, was the first studio album since the passing of Edgar Froese Tangerine Dream’s visionary founder, by the remaining band members Thorsten Quaeschning, Ulrich Schnauss and Hoshiko Yamane. This version of Quantum Gate with the inclusion of Quantum Key EP, brings together Edgar’s vision as a 2disc set for the first time. 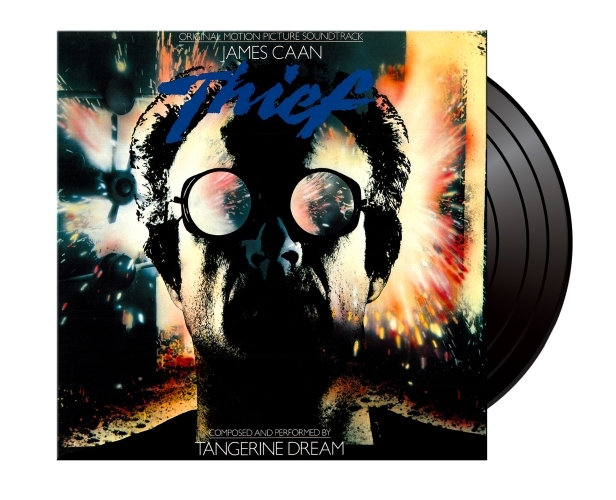 Camarillo, CA – Marshall Blonstein’s Audio Fidelity will be releasing Tangerine Dream’s Theif OST on 180g vinyl in November 2015. Tangerine Dream is among the most successful electronic groups of all time. The band was chosen by Michael Mann to write and produce the original score for Thief, his 1981 directorial debut. Tangerine Dream added their patented pulses, blips and whooshes to the film’s highly stylized visual scenes. Up to this time, no one had ever used a sequencer for a neo-noir film…this score is one of the most unusual of its kind for American cinema. Rather than a full orchestral score, Tangerine Dream’s techno-based score uses synthesizer, percussion and electric guitar making for a fascinating and exciting soundtrack. Tracks like “Dr. Destructo” have a fast-paced percussion tempo. An engaging melody on “Beach Theme” makes it one of the album’s most familiar and popular tracks, while “Trap Feeling” has a delicacy that compares favorably to Brian Eno’s Music for Films.